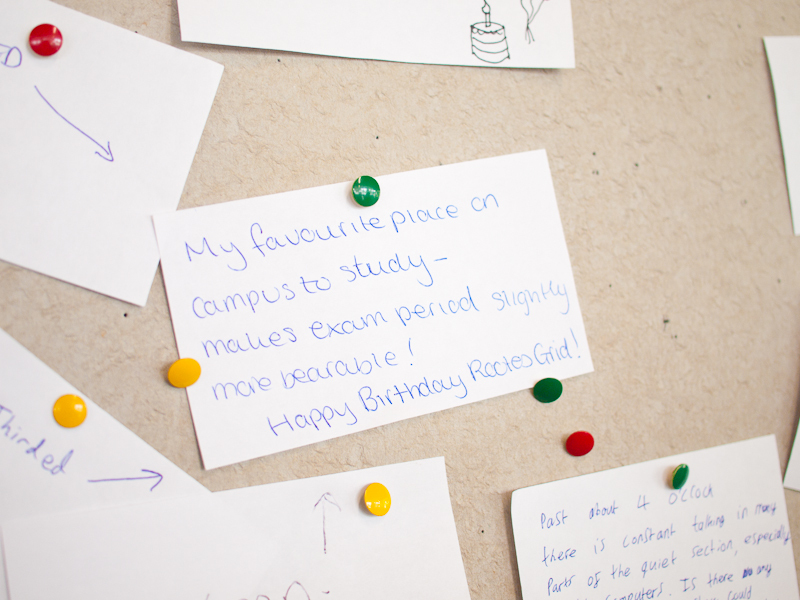 What’s been happening in Learning Grid Rootes this year? Apart from learning, you mean? Okay. 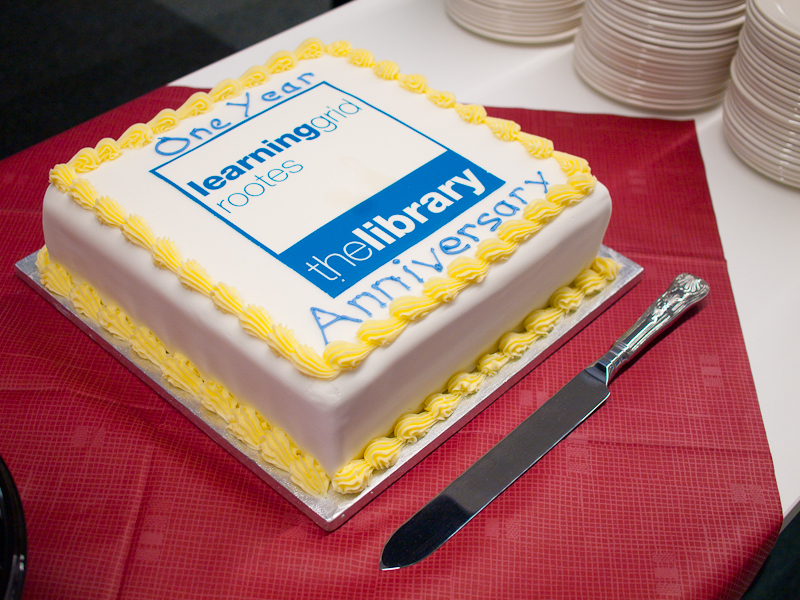 Let’s start with the first anniversary of Learning Grid Rootes, where we had a huge birthday cake (and cupcakes! ), prompting a fifty student-long queue. By happy coincidence I was on duty at the time, so got to eat some of the treats. The cake was like a celebrity: there were people taking selfies with it. And it tasted oh-so-good. 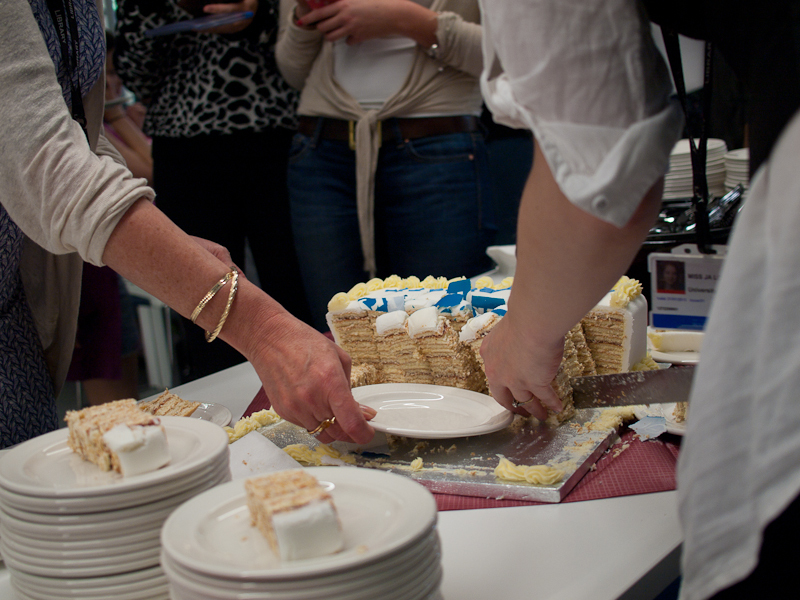 We’ve also hosted some Study Happy events as part of the Library’s scheme to help ease the stress of revising for exams. We had a ukulele-playing session in the Group Rooms, a huge banana giveaway, and a massage chair. It’s not all work and no play! First of all, it’s important to know that all the comments that we get on the feedback board, through our feedback kiosk, online, or given to an Adviser are read and considered. For example, thanks to the feedback system we’ve installed more power sockets in the collaboration area so your laptops don’t run flat, and there are more whiteboards (including the handy mini ones) for you to use in the space. We can’t do everything, but we do our best to adjust the environment for your needs, so keep it coming! Basically, we’re glad that you like the newest Learning Grid! You’d be surprised – everything’s gone pretty smoothly, except for the odd fire alarm or malfunctioning gate. We do get a lot of lost property, but not everything is traceable, so we have a surplus of umbrellas and USB drives. (If you’re missing anything, it’s all now with the SU reception.) Apart from that, it’s been pretty plain sailing. Where Learning Grid Rootes is used to be the student reception. People still come in to collect their accommodation keys or update their cards, including me at the beginning of the year. I can attest to the fact that it’s a much nicer space now! I did walk into the glass wall once. I try not to think about it. 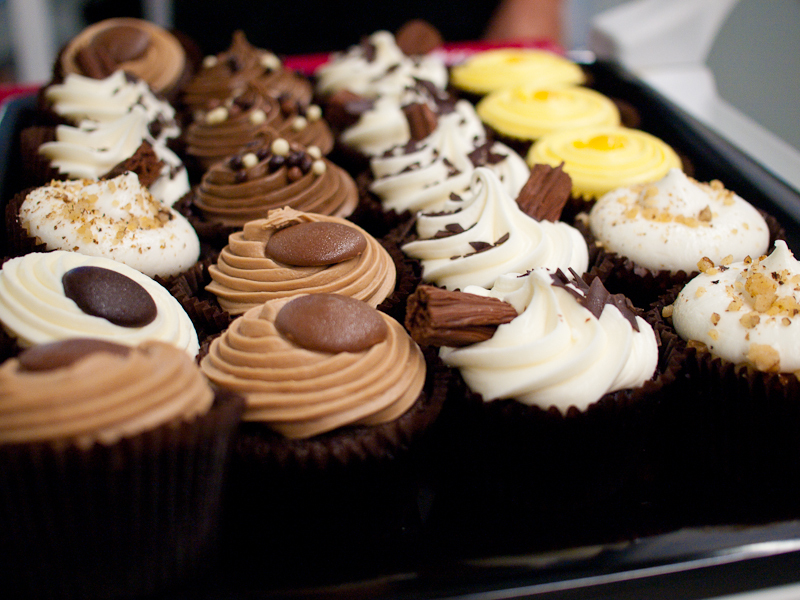 I want a picture of that cake you were describing. 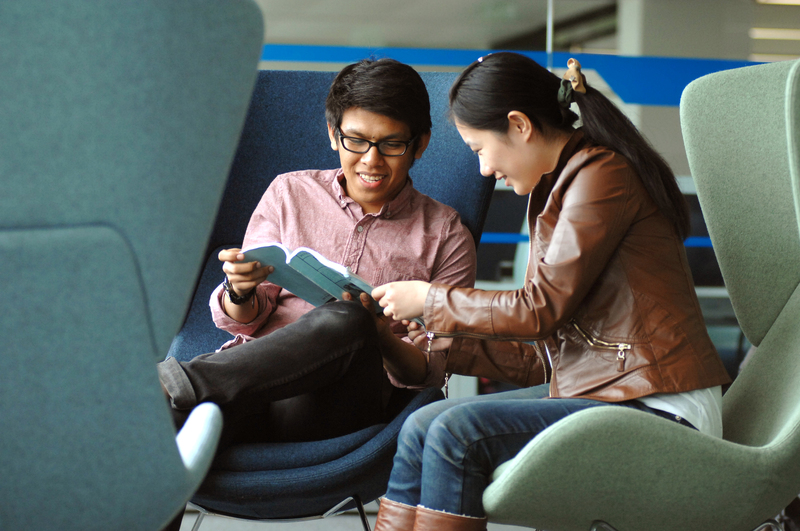 Learning Grid Rootes will reopen at the beginning of the next academic year. I and the rest of the Advisers hope you have a great break, and come back recharged and ready to do some more informal and collaborative learning! Let us know why you love the Rootes in the comments!